Welcome to the Meroke RC Website. We are an AMA Charted Club. Our Club consists of members who are dedicated to the hobby of RC flying. We have approximately 70 members, ranging in age from 12 years to over 80 years. 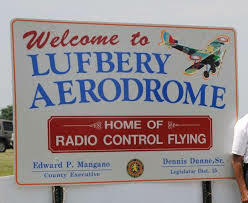 We fly at the Lufbery Aerodrome in Cedar Creek Park in Seaford New York. Come down and see us fly. Located at the back of the park, follow the signs for the Aerodrome. Our meeting consists of Club Business followed by a program for the members. We then have a social time where we share conversation amongst ourselves with coffee and cake. Our program would normally be a show and tell where members would bring in projects they are working on or items related to the hobby that they find might be beneficial to the members. We also invite people from the hobby to speak on topics such as engines, setting up aircraft for different types of flying, battery care and use in RC flying, building techniques on modern aircraft and World War II (Warbird) type aircraft, covering techniques, and a host of other interesting topics. WeI hope this information has enabled you to better understand who the Merokes are and what we can offer you as a new Pilot to the hobby of RC flying.